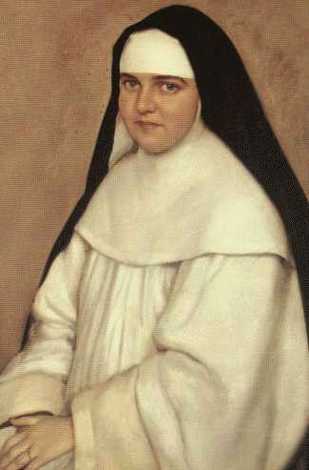 February 3rd is the 68th anniversary of the death of one of my dearest heavenly friends: Mother Yvonne-Aimée de Jésus (Yvonne Beauvais), Augustinian Canoness, Hospitaller of the Mercy of Jesus, of the Monastery of Malestroit in Brittany, France. Born in 1901, Mother Yvonne-Aimée died, after a life of extraordinary love and extraordinary suffering, at 49 years of age on 3 February 1951. On the very day of her death she was preparing to undertake a visitation of the monasteries of her Order in South Africa. The Mass of the feast of the Purification of the Blessed Virgin Mary (Candlemass) opens with these words: «We receive, O God, thy mercy, in the midst of thy temple» (Psalm 47:10). In the Middle Ages, Candlemass was also called Susception Day, from the first word of the Introit: Suscepimus. «We receive, O God, thy mercy, in the midst of thy temple». Symbolically, when we receive our blessed candles on February 2nd, we are receiving the Infant Christ, the light of the world, the mercy of the Father sent to save and heal a people languishing «in darkness and in the shadow of death» (Luke 1:79). The one thing that everyone finds irresistible is to hold a baby, even if only for a few moments. Submission (from the Latin to put under) comes easily to no one. An instinctive pride would have one place oneself above his fellows, if not outwardly, then, at least, secretly in one’s thoughts and judgments. “I know more, I know better” or even, “I am more, I am better.” One begins by placing oneself above one’s brethren, and one ends by placing oneself above God. Such a dizzying, diabolical ascent in pride leads to open revolt against God. 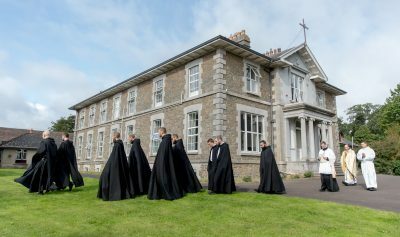 The commands, then, of the abbot or the Superiors appointed by him (to which we allow no private orders to be preferred) having the first place, let all the younger brethren obey their elders with all charity and vigilance.